On Sunday, September 1st 2013, the legendary genius Hayao Miyazaki announced his retirement from filmmaking. Now 75 years old, we obviously knew this time would come eventually. As a huge fan of his though, it still hurt. 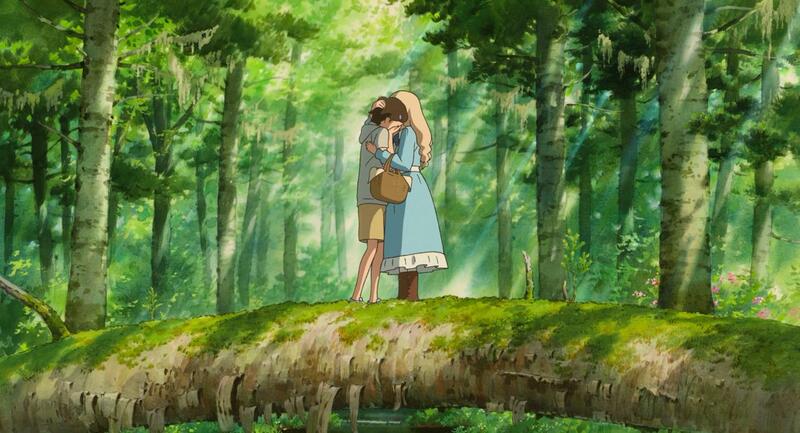 Anticipating a new work by Miyazaki was one of those things I took for granted, like he would always be there to give me a brand new warm cinematic hug every few years. Miyazaki was the rock star face of the operation, but Studio Ghibli still released some absolutely brilliant films by others, including some of my favorites like Grave of the Fireflies and The Tale of the Princess Kaguya from Isao Takahata and The Secret World of Arrietty from Hiromasa Yonebayashi. Not to worry then. Even without the master, Ghibli lives on! On August 3rd, 2014, the studio announced they were halting production entirely. They used the word "temporarily", but it's hard not to fear that the doors will remain closed. So it is possible that their final film has been released already. That film is When Marnie Was There, and as I sat down to give this one a spin I couldn't help but wonder, what if the last work Ghibli ever puts out is a disappointment? Sure, we will always have the classics, the films that fill me with wonder and have a way of striking an emotional chord in me that most modern animated work cannot, but I really wanted to feel that magic again. Shame on me, really. I should have never been worried at all. 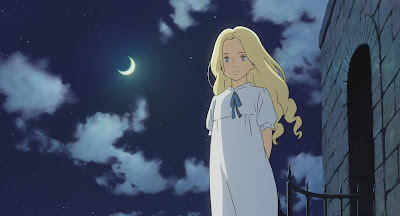 When Marnie Was There is another hand drawn beauty from a studio that has created so much essential cinema over the years. The story is of a 12 year old girl named Anna who is struggling with some emotional pain over elements of her past that hurt her deeply, and after an asthma attack brings her down while at her school her mother decides to send her to stay with some family in a picturesque seaside town for the summer to get away from it all. Shortly after arriving in this rural town Anna spots a mansion across a marsh and after going over to investigate it, she discovers it is abandoned. That night she dreams of a beautiful young girl living inside that mansion, sitting quietly as an old woman brushes her hair. Only then does Anna realize that the home may not be abandoned after all. 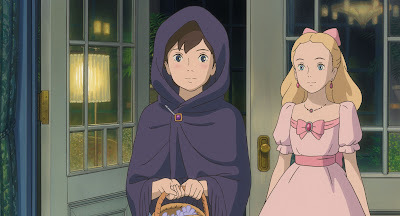 As expected from a Ghibli effort, When Marnie Was There features wonderfully layered characters dealing with actual emotions, as it is clear there is a darkness that haunts Anna and it can be quite jarring yet honest to hear a 12 year old loudly declare her hatred for herself when the memories consume her. She never felt loved or wanted or important or pretty until she meets Marnie, and their friendship is both a fascinating puzzle to piece together and a warm and inviting relationship that is easy to root for. Beautiful to look at as well as in its ability to tell a complex yet accessible story, especially considering how well it appeals to people of all ages like most Ghibli work (kids, don't watch Grave of the Fireflies), this film is another treasure by the masters of animation. I want the studio to come roaring back with more gorgeous films like this and I selfishly want Miyazaki to change his mind and craft one or two more masterful films as well, but if this really is it for Ghibli, what a brilliant run it was. When Marnie Was There may never be considered a masterpiece like My Neighbor Totoro, Spirited Away or Princess Mononoke, but it still should stand proudly along side all of their other wonderful achievements.